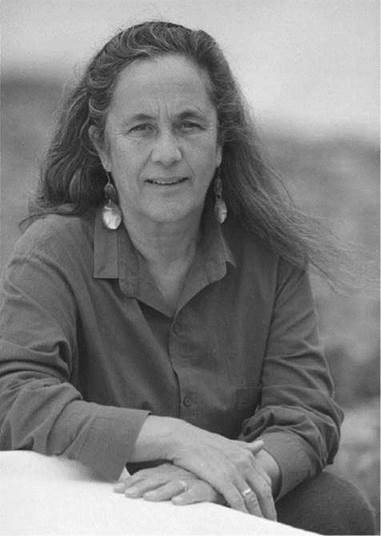 Patricia Grace is considered New Zealand’s foremost Maori woman writer. She writes short stories and novels that place the reader at the intersection between native and Western cultures in modern New Zealand, and her work explores the challenges her people have faced and continue to face as they seek to retain their traditions and their lands. New Zealand and the Maori People. New Zealand was annexed by Great Britain in 1840, and British officials negotiated treaties with some of the native Maori tribes that, according to the British, acknowledged British control of the region in exchange for property and other rights. However, the Maori translation of the treaty did not accurately reflect these terms, and British control of New Zealand was disputed by many of the Maori people. The population of the Maori went into decline, with a drop of over fifty percent in the sixty years following British annexation. The varied Maori culture saw a resurgence in the twentieth century, particularly from the 1960s onward, though many Maori still face racism and the problems stemming from long-standing disputes over land and property rights, and the urbanization of the Maori people has raised concerns over the ability of the culture to remain distinct from Western influences. Early and Enduring Success. Patricia Grace was born in 1937 in Wellington, New Zealand. She studied at St. Anne’s School and St. Mary’s College. She began writing after studying New Zealand literature at Wellington Teachers’ Training College. At the age of twenty-five, she was a teacher and the mother of a growing family. Unlike many young authors who struggle to get into print, she had early success due to her subject matter and her grasp of Maori narrative techniques. After her first collection of short stories, Waiariki, won the PEN/Hubert Church Award, she was encouraged to write a novel. She has since taught writing and published several novels while raising her family of seven children. Grace is probably New Zealand’s foremost Maori woman writer. Her collection of short stories, Waiariki (1975), was the first collection of short stories published by a female Maori writer. Her 1978 novel, Mutuwhenua: The Moon Sleeps, was the first novel by a Maori woman writer. Her writing is expressive of a distinctive Maori consciousness and set of values, but it is notable also for the varied portrayal of Maori ways of life and for its versatility of style and narrative technique. Though distinctly re-creating Maori stories, Grace’s style of writing also borrows elements from the modernist realist tradition. The Postcolonial Experience. Many of Grace’s stories deal with the determination of identity and the experience of cultural conflict that are part of postcolonial experience, especially in settler societies. In Grace’s works, the experience of difference is neither presented as a way of finding identity nor as a matter of choice, negotiation, or even assertion. Instead it is represented as a nonnegotiable fact that simply has to be accepted. Grace is well-known in international literary circles and is widely considered a leading New Zealand writer. She has won numerous awards for her writing, including the PEN/Hubert Church Award for Best First Book of Fiction, inclusion in the fiction section of the New Zealand Book Awards, the Neustadt International Prize for Literature, and the Prime Minister’s Award for Literary Achievement. Vaclav Havel (1936—): Czech author who became the president of Czechoslovakia after the fall of communism in 1989. Thomas Pynchon (1937—): American novelist known for his dense and complex postmodern style of writing. Hunter S. Thompson (1937-2005): American journalist and author best known for creating the "gonzo" style of journalism. Hans Herbjornsrud (1938—): Norwegian author whose works explore the connections between language and identity. Judy Blume (1938—): American author who has achieved widespread popularity because of her books for children and young adults, which frequently tackle difficult and controversial issues. Germaine Greer (1939—): Australian scholar who was one of the most important voices of feminism in the late twentieth century. House Made of Dawn (1969), a novel by M. Scott Momaday. This Pulitzer Prize-winning novel tells the story of a Native American who grew up on a reservation and subsequently lives both in and out of nonnative society. Almanac of the Dead (1991), a novel by Leslie Marmon Silko. This novel, which tells a variety of stories about characters living in the American Southwest and Central America, pursues the theme of the reclamation of native lands. Ao Toa: Earth Warriors (2005), a novel by Cathie Duns- ford. This novel explores conflicts between local tribal interests and the demands of the corporate, globalized world through the story of a group of Maoris struggling against the use of pesticides and genetic engineering. 1. Grace is a Maori who attended non-Maori schools. In what ways does her Western education present itself in her works? Is her Western education a positive or negative influence on her writing? 2. What unique obstacles face a woman writer emerging from a native tradition? In what ways are these obstacles evident in Grace’s works? 3. Grace is noted for expressing the distinctive Maori consciousness and the values of the Maori people. After reading some of her works, list the features of the Maori perspective that you have noted. Write an essay describing these features and indicating where in Grace’s writings you discovered them. 4. Grace explores the experiences of native people living within Western culture. Write a story or an essay about your experiences living within Western culture, whether it’s from an insider’s or outsider’s perspective. Be sure to note which perspective you have. Adam, Ian, and Helen Tiffin, eds. Past the Last Post: Theorizing Post-colonialism and Post-modernism. Hemel Hempstead, U.K.: Harvester Wheatsheaf, 1991. Hankin, Cherry, ed. Critical Essays on the New Zealand Short Story. Auckland, New Zealand: Heinemann, 1982. Hawley, John C., ed. Cross-Addressing: Resistance Literature and Cultural Borders. New York: State University of New York Press, 1996. Heim, Otto. Writing along Broken Lines: Violence and Ethnicity in Contemporary Maori Fiction. Auckland, New Zealand: Auckland University Press, 1998. James, W. T. G., ed. The Word within the Word. Hamilton, New Zealand: University of Waikato Press, 1983. Lauer, Josh, and Neil Schlager, eds. Contemporary Novelists. 7th ed. Detroit: St. James, 2001. Hereniko, Vilsoni. ‘‘Dialogue: An Interview with Patricia Grace.’’ Contemporary Pacific, Spring 1998.